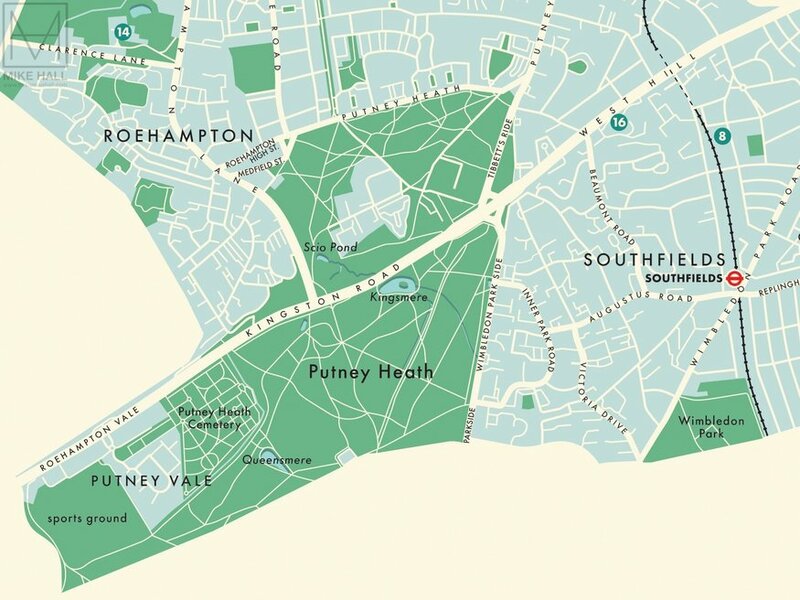 These handsome maps of London boroughs are the work of artist Mike Hall. 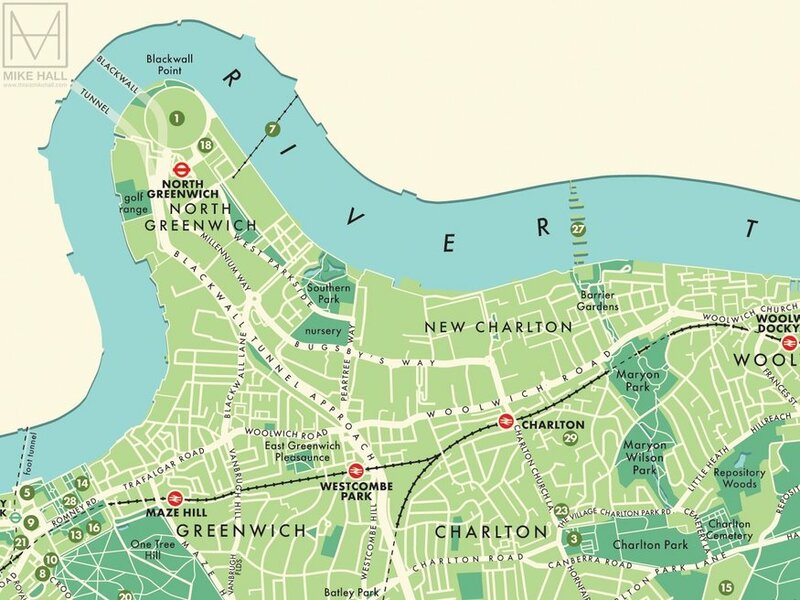 Mike's maps show the boroughs using modernist graphic design techniques of the 1950s and 60s (although modern landmarks and transport links are included). The results are crisp, clear and elegant. 16 of the 32 boroughs are available now, with the rest due for completion in early 2019. 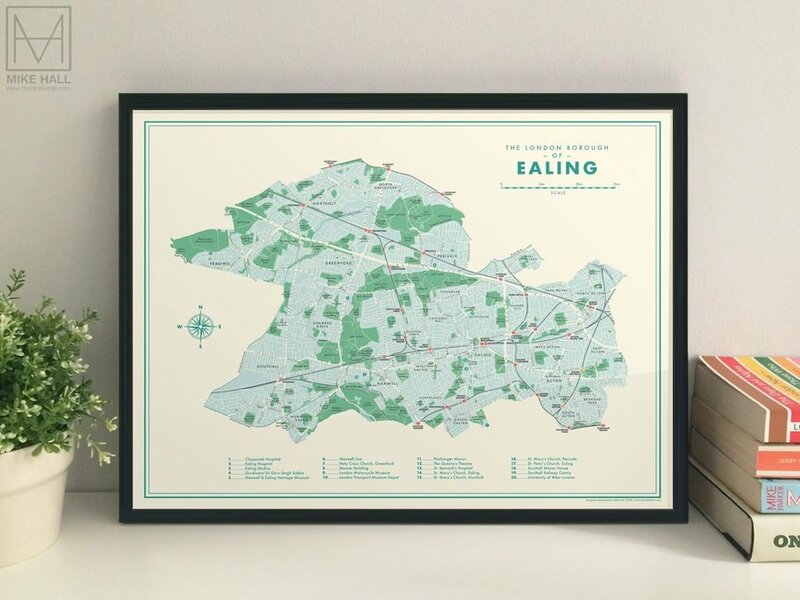 Signed prints of the maps can be purchased from Mike's website. 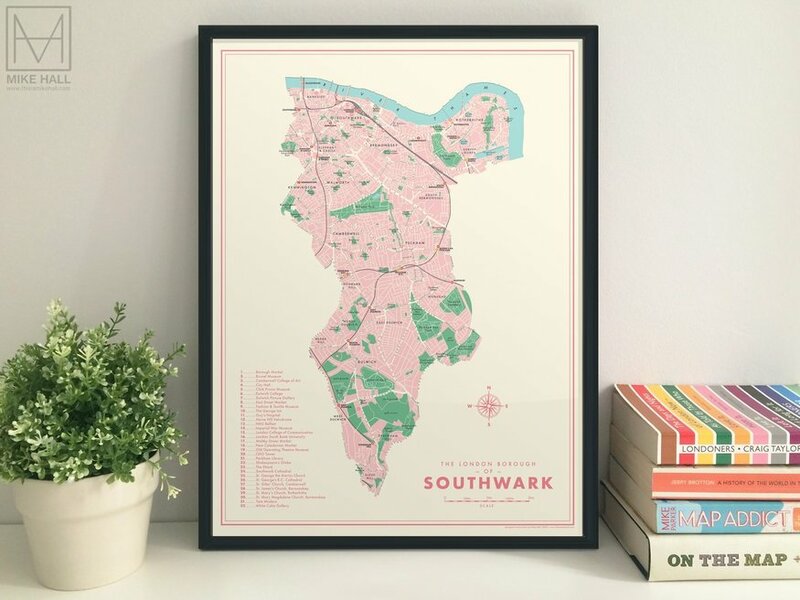 Southwark. Loving his choice of books, too. Long-time Londonist readers might recall the artist's previous work, including these spectacular panoramas from the Shard.